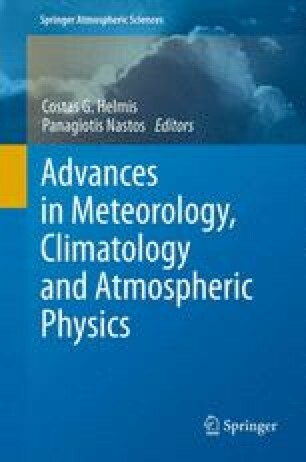 This work aims to study surface meteorological patterns under different synoptic scale categories. Multivariate Data Analysis techniques were applied on two datasets including surface meteorological elements, and meteorological variables in the lower troposphere (850 and 700 hPa). For the former, three principal components were found, related to the thermodynamic status of the surface environment and the two components of the wind speed. For the lower troposphere dataset three principal components were related with: (1) the thermodynamic status, (2) the wind field at 850 hPa, and (3) the direction of the flow at 700 hPa. Principal components from the surface dataset were related with atmospheric circulation categories via Correspondence Analysis. Canonical Correlation Analysis between the surface and upper air datasets revealed: (1) the strong thermodynamic connection of the surface and the upper air environment and (2) a very weak connection between the surface flow field and the upper air circulation indicating the influence of the local topography. The authors would like to thank Mr. Nikos Kaltsounidis for his contribution to the data collection and support. The upper air dataset were obtained from http://weather.uwyo.edu/upperair/sounding.html.